I’ve signed up to two challenges this month – Writing 101 with WordPress and The Summer Body Challenge at my gym. The first one involves a new assignment each day that you write a post about ,but don’t have to publish. The idea is to increase your blogging habit and get you thinking outside the box for inspiration. The second involves training at the gym 5 days a week throughout June to win a month’s free membership. As per usual for us Brits, summer snuck up on us like a kid with cold hands; not exactly unpleasant but definitely a shock. And once more, I was caught completely off guard with nothing to wear. This is entirely my fault of course, as in a fit of excitement over winter I threw out the cropped jeans I had bought in previous years as they were several sizes too big. At least one pair, however, was on the small side of its size and still fit well. I was too ‘in the moment’ to think about this at the time however, and out they went. A few weeks ago I did think ahead for my summer jollies and purchased a maxi dress or two, one online which I’m sending back, and one which, whilst lovely, is black and strapless and probably inappropriate for work. I had thought I’d wait until payday to get properly stuck in but put a few cheeky bids in on eBay for some more (cheap) cropped jeans. Unfortunately, unlike my last eBay cropped jean escapade, I was outbid in moments and they all appear to have accrued quite a high price tag since. Then the heat struck. I couldn’t cope with the elevated temperature in my jeans and black trousers and I snapped (at poor husband) “take me shopping after work, I’m proper mafted in these” (this roughly translates as “please would you drive me to our local shopping centre darling, I’m rather hot in this attire”). Like a bat out of hell I dived in and came home with some shorts (purely for the holiday I promise, I will not be out in public locally in those) and a few pairs of cropped jeans. I started planning this post yesterday and thought I’d put up a few pictures of my lovely new outfits, maybe an OOTD, however, this morning we’ve awoken to grey clouds. The Met Office tells me it’s going to be rather chilly until tea time when temps should pick up, but then there’s a 60% chance it’ll piss it down by bed time. How rude. It’s also looking rather grim for the rest of the week. Here’s to hoping it’ll pick up in time for the bank holiday! P.S. You’ll be glad to hear my Satchel is recovering nicely! I posted this picture on our Facebook page (www.facebook.com/fatgirlskinnyjeans) a while back, but thought I’d share it here for those of you who haven’t seen it. I think this is the perfect advice for this heatwave! People complain constantly about people keeping it covered up; just because its sunny doesn’t mean you have to have everything on show and whilst I agree that just because there’s a bit of sunshine (think bright day in February) doesn’t mean you have to whip your top off, the fact that we are having an EPIC heatwave means it might be a bloody good idea! There is no point sitting there feeling self conscious, roasting to death because you’re worried about what someone might say or think of your arms and legs or your lumps and bumps. If you are on the beach and you want to prance about in your bathing costume, then do it! Don’t let everyone else have all the fun. I can say this with full confidence because I did in fact do just this yesterday. Bird and I had an impromptu trip to a local beach (we are lucky in that we have quite a few to choose from) and both decided to sport our swimwear for a bit of paddling; Bird in her snazzy swimming costume and me in my tankini. 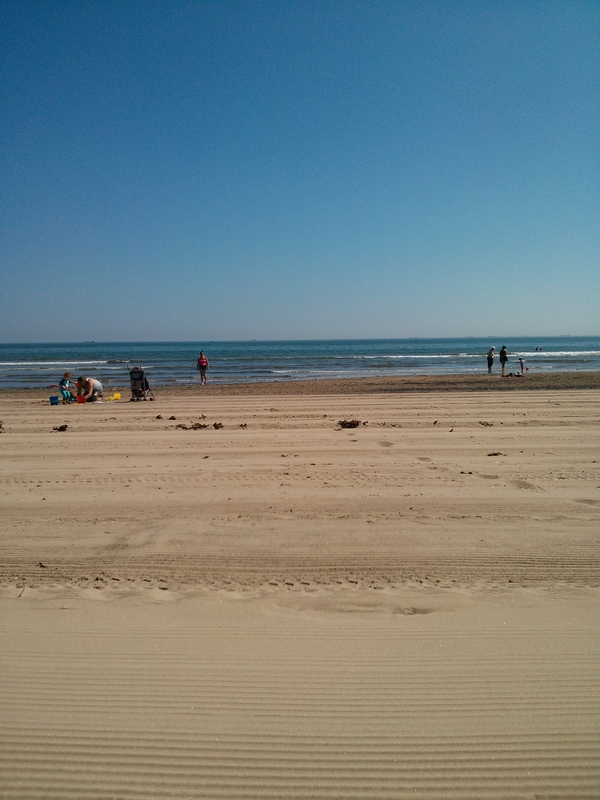 Let me tell you I am rather glad we did as it was absolutely scorchio, albeit with a lovely sea breeze! There was no greater feeling than letting it all hang out like a beached whale; bliss! Most people were wearing their bathing suits so it wasn’t just us, which was nice and reassuring. I for once felt completely fine with the situation, it was just lovely to keep cool and not have to worry. I have absolutely zero body confidence, or at least I did. I like to keep everything covered (unless I’m baking hot apparently) but for once to just throw caution to the wind and go for it was awesome. I have been like this before when on holiday abroad, but doing it here on a local beach is another matter; we could have very easily bumped into someone we know and that could get awkward and embarrassing. However I didn’t feel embarrassed, I didn’t feel ashamed (though some people probably think I should have) or stupid or in fact anything negative other than boiling hot. At the end of the day, you should dress in whatever makes you happy and feel good. 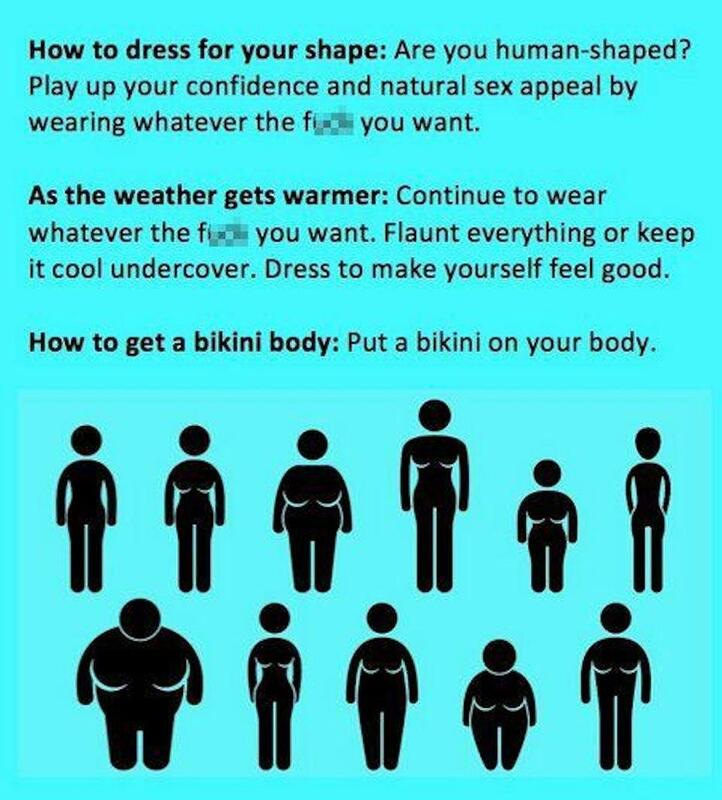 Yes there are plenty of different ways to dress for your shape and inevitably if these do look good on you, show off your waist line and make the rest of you look smaller, you will feel happier and more confident. But there’s no point wearing that burgundy dress for example if black or even pink are more your thing. So if you want to get your pins out whilst building a sand castle or two (with a moat and a flag of course, how else would you build one?!) go for it! You will feel happier in yourself if you simply just wear whatever the f*** you want! A heatwave is the perfect excuse to forget what you should and shouldn’t be wearing. Enjoy the sun while it lasts, whether that be completely covered up (which is good if like me you burn easily) or let it all hang out (which feels marvelous) just don’t forget the sun cream!! Regardless of what you wear (or don’t wear) red and peeling is not a good look.